Explore Brisbane's surroundings by going to Warner Bros. Movie World (in Oxenford), Maleny Botanic Gardens & Bird World (in Maleny) and Sea World Theme Park (in Main Beach). There's much more to do: let little ones run wild at South Bank Parklands, contemplate the waterfront views at The Brisbane River, identify plant and animal life at Lone Pine Koala Sanctuary, and admire the natural beauty at City Botanic Gardens. 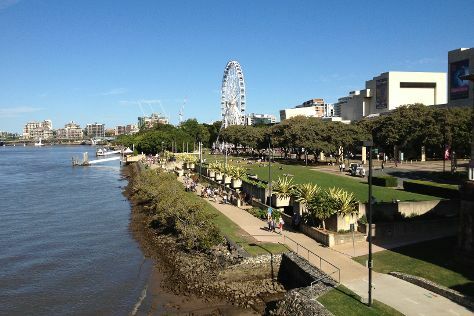 To see maps, reviews, photos, and other tourist information, refer to the Brisbane trip planner . London, UK to Brisbane is an approximately 25-hour flight. You can also do a combination of flight and bus; or do a combination of flight, bus, and train. You'll lose 10 hours traveling from London to Brisbane due to the time zone difference. Plan for a bit warmer temperatures traveling from London in May, with highs in Brisbane at 27°C and lows at 15°C. Wrap up your sightseeing on the 9th (Thu) to allow time to travel to Sydney. Sydney is known for nightlife, trails, beaches, parks, and museums. 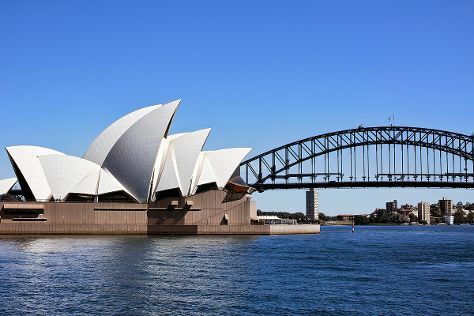 Your plan includes some of its best attractions: admire the striking features of Sydney Opera House, trek along The Opera House to the Botanic Gardens Walk, don't miss a visit to Sydney Harbour Bridge, and admire the natural beauty at Royal Botanic Garden Sydney. Getting from Brisbane to Sydney by flight takes about 4 hours. Other options: do a combination of bus and flight; or drive. In May, daily temperatures in Sydney can reach 24°C, while at night they dip to 14°C. Finish your sightseeing early on the 15th (Wed) to allow enough time to travel to Melbourne. Venture out of the city with trips to Werribee Open Range Zoo (in Werribee) and The Great Ocean Road (in Torquay). Dedicate the 21st (Tue) to wine at some of the top wineries in the area. And it doesn't end there: admire the natural beauty at Royal Botanic Gardens, see the interesting displays at Melbourne Museum, let your taste buds guide you at a local gastronomic tour, and enjoy breathtaking views from Eureka Skydeck 88. To see where to stay, maps, other places to visit, and tourist information, read our Melbourne online trip itinerary planner . Fly from Sydney to Melbourne in 3.5 hours. Alternatively, you can do a combination of flight and shuttle; or drive. Prepare for little chillier weather when traveling from Sydney in May: high temperatures in Melbourne hover around 20°C and lows are around 9°C. Wrap up your sightseeing on the 23rd (Thu) early enough to travel to Perth. You'll find plenty of places to visit near Perth: Fremantle Prison (in Fremantle), The Vines Mini Golf (in The Vines) and Caversham Wildlife Park (in Whiteman). Dedicate the 26th (Sun) to wine at some of the top wineries in the area. 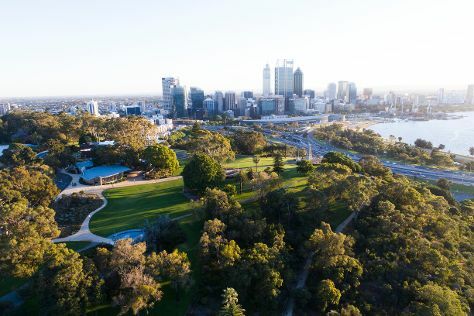 There's still lots to do: admire the natural beauty at Kings Park & Botanic Garden, contemplate the waterfront views at Swan River, steep yourself in history at The Perth Mint, and identify plant and animal life at Lake Claremont. For reviews, maps, traveler tips, and tourist information, read our Perth trip itinerary builder . Getting from Melbourne to Perth by flight takes about 6.5 hours. Other options: take a train; or drive. Due to the time zone difference, you'll gain 2 hours traveling from Melbourne to Perth. When traveling from Melbourne in May, plan for a bit warmer days in Perth, with highs around 25°C, while nights are about the same with lows around 11°C. Wrap up your sightseeing by early afternoon on the 30th (Thu) to allow enough time to travel back home.